Plush & Nuggets’ 2018 Make It Playful Hackathon officially kicked off earlier this week with a day-long course that introduced engineers, product designers, innovation leaders, and a team of students from the Massachusetts Institute of Technology (MIT) to playful design — a methodology that uses play to help organizations creatively solve problems and maximize the skills of their workers. Led by Plush & Nuggets co-founder Laure Dousset, the hands-on workshop focused on what exactly play is, how play encourages learning and new ways of thinking, and how companies and nonprofits can use purposeful play exercises to improve communication, boost productivity, and tackle real-world design challenges. One reason why play works as an effective springboard into problem-solving is because play is naturally structured around suspending assumptions, evaluating what keeps people interested in a specific task, and encouraging players to do things with their bodies and brains that they wouldn’t otherwise. 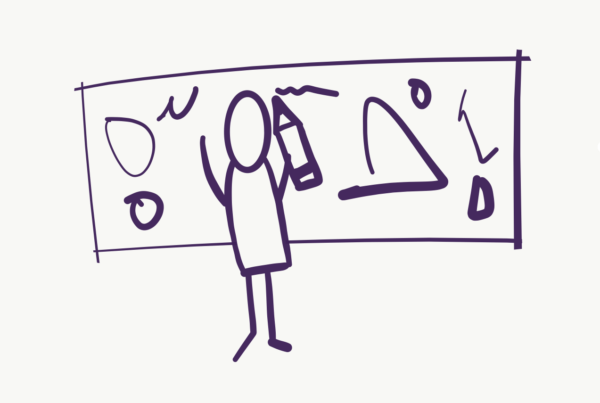 Whether done in a game context or outside, play creates a “magic circle” — a special space where new rules apply and it’s acceptable to act in ways you wouldn’t in daily life. 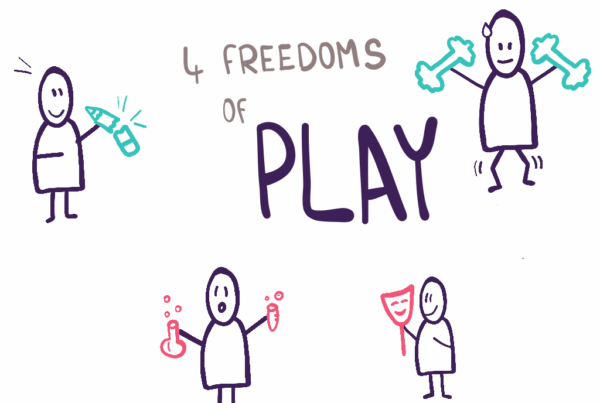 This freedom to experiment is one of the four facets of play identified by Scot Osterweil, a play researcher and creative director of the Education Arcade at MIT. In addition to open experimentation, play also gives participants license to fail without real-world consequence, the ability to develop empathy and new perspectives by embodying other identities, and the freedom to forget their outside lives and lose themselves in the pure pleasure of a specific task. When people are doing something they enjoy and when the task strikes the right balance between being challenging enough to hold interest, but easy enough so players avoid feeling too much anxiety, these four freedoms create an environment that’s conducive to creative brainstorming, facilitates open communication and team-building, and helps people work as a cohesive unit to address issues Dousset says. “We try to recreate the experience of a sandbox,” Dousset explains. A children’s sandbox is a protected environment with clear parameters. It’s open to anyone who wants to join and it contains resources and tools that are ideal for building many types of creations. Most importantly, sandboxes do not have a clearly defined set of rules, allowing children to design their own experiences without judgment or interference from adults. Playful design operates on that same basic premise. When clients have a problem, the Plush & Nuggets team works to create an environment where traditional rules don’t apply, to put the right collaborators in that space, and to arm them with the tools they’ll need to attack the problem in new ways. The strategy here is to give the right people the right resources, let them play, and watch them intuitively reframe their problems. Make It Playful participants got to witness collective intelligence in the making. During one exercise, participants were divided into groups of five or six and given long, lightweight wooden sticks. Group members were instructed to stand close together, extend their index fingers, and place the stick on top so it rested on both index fingers from all group members simultaneously. From there, the goal was simple — work together to lower the stick to the floor without anyone losing contact. While the task sounded simple, teams labored over the best way to get all group members to descend to the floor at the same rate without losing the stick in the process. How fast group members wanted to descend varied significantly from person to person, requiring teams to openly talk about the best strategy for getting to the floor and to establish a unified definition of the proper speed for lowering the stick. Successfully incorporating playful design relies on groups establishing a common goal and having a clear understanding of the strategy for getting there. Those lessons are going to be vital as the Make It Playful Hackathon continues to unfold. For the rest of the week, MIT students and design mentors from the software, gaming, and product development sectors will spend the rest of the week using playful design methods to transform ordinary objects into engaging, interactive experiences. Working in small teams, each group has adopted a common household object they will spend the next few days deconstructing and rebuilding into a new prototype product with a specific playful purpose. Groups are currently building lamps that can influence a user’s emotional state, tables that facilitate group learning, doors that encourage collaboration and social interaction, and more. Teams will demonstrate their prototypes to the general public on Friday. JOIN US! 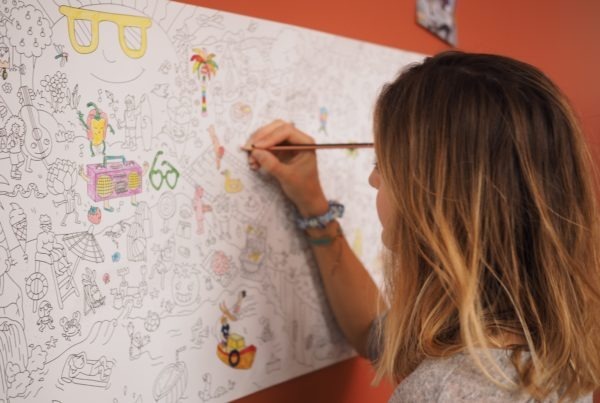 Head to the Plush & Nuggets Fablab located on the fabMSTIC university campus (Fab Mstic, 11 rue des mathématiques 38400 Saint-Martin-d’Hères) at 3pm to test out these playful creations.